When I found this recipe on BrownEyedBaker I was skeptical, but I'm not kidding. These are the perfect sugar cookie. 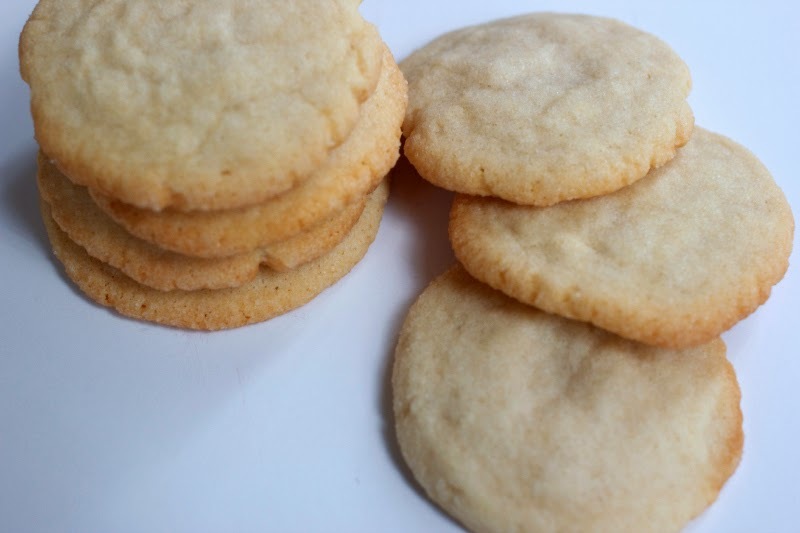 The outsides and crispy, the insides are chewy, and the flavor is everything you love in a sugar cookie. It. Is. Awesome. What more can I say except, make these! You won't be sorry! Preheat to 375. Cream your sugars and butter. 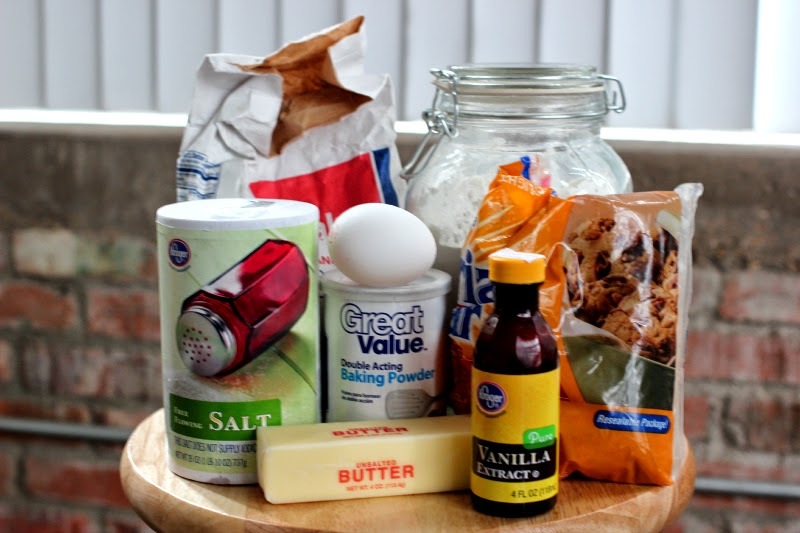 Add egg and vanilla; mix. Add the dry ingredients and blend til dough forms. Put some extra sugar on a plate. Roll pieces of dough into a ball and then roll in sugar. 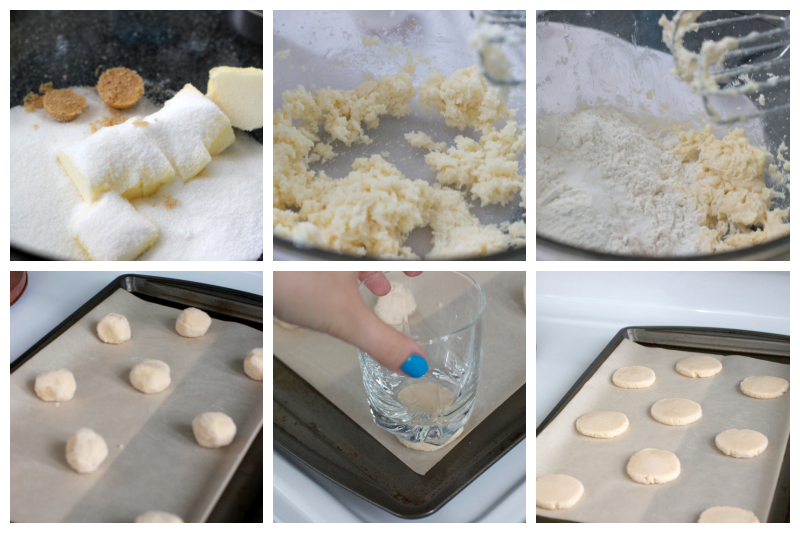 Place the sugared dough balls on a cookie sheet lined with parchment paper. Once all your soon to be cookies are on the cookie sheet, use a cup to press down the cookies. Bake for 9 minutes, just until the edges are slightly golden. 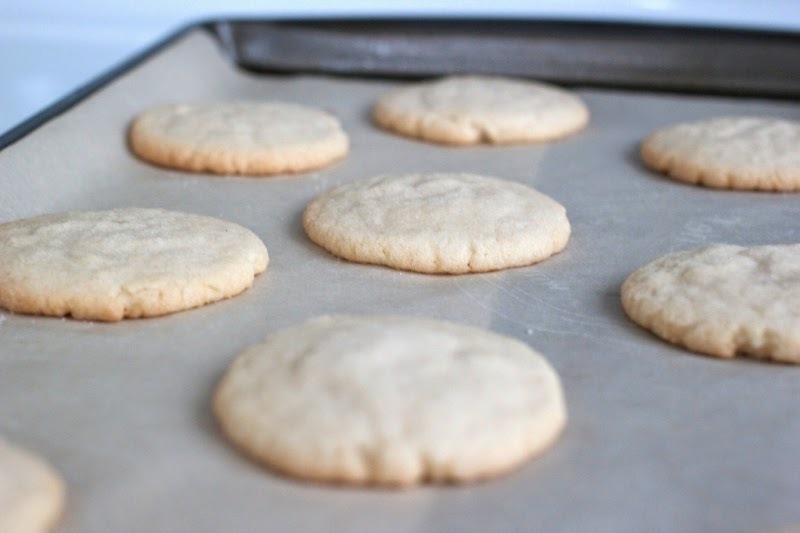 Once out of the oven pull the parchment paper off of the warm cookie sheet and allow the cookies to cool. (You can skip the wire rack, just leave them right on the parchment paper). Now enjoy! These cookies taste even better the second day. Yum! 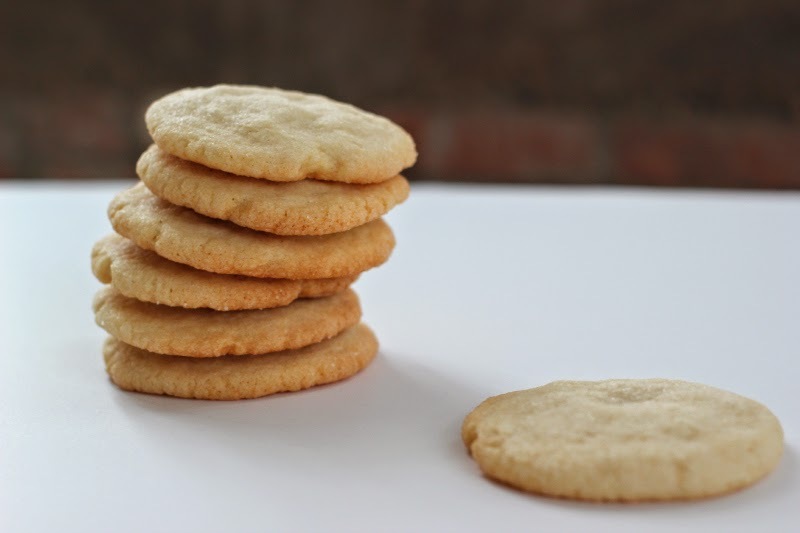 This recipe will make you about 18 cookies, if you want the full batch recipe for 3 dozen, hop over here for the original. Happy baking!